MWA Software is pleased to announce that release 2.2.0 of IBX for Lazarus is now available for download from mwasoftware.co.uk/ibx. This is an important update to IBX and all users are recommended to upgrade to the new release. Please read the changelog before upgrade. Support for SQL Statements INSERT/UPDATE/DELETE…RETURNING. The first two cases are now able to update the current row for all TIBCustomDataset descendents including TIBTable, using data returned following a row insert or update. INSERT…RETURNING is used to provide support for Firebird “Identity” columns. For example, when used to provide auto-increment primary keys. Firebird “Packages” are now supported by TIBStoredProc and by the SQL Component Editors. Additional Firebird 3 properties are now supported by TIBDatabaseInfo and by the Services API components (e.g. TIBConfigService). Alternative Security Databases are now supported by the Services API Components. TIBExtract now supports DDL Grants and triggers on database objects. A new IBServices component to support online validation of a database (TIBOnlineValidationService). A major new example application (DBAdmin) is now included. This illustrates the use of IBX for Day-to-Day Database Administration tasks including User Management, Backup/Restore and Database Validation and Repair. It is also intended to provided a useable application that users may use directly or incorporate into their own toolsets. 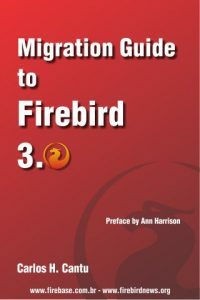 It also demonstrates User Management using Firebird 3 virtual tables and SQL statements. Note: this application also requires the standard Lazarus package MemDSLaz.